Crabgrass (Digitaria spp. ), goosegrass (Eleusine indica), yellow foxtail (Setaria glauca), green kyllinga (Kyllinga brevifolia), yellow nutsedge (Cyperus esculentus) and annual bluegrass (Poa annua) are among the most common and troublesome turf weeds in Maryland. Weeds such as these compete with desired plants for space, water, light, and nutrients and can harbor insects and diseases. They can be hosts for other pests such as plant pathogens, nematodes, and insects. Certain weeds can also cause allergic reactions in humans. Weed management is an integrated process in which good cultural practices are employed to encourage desirable turfgrass ground cover and in which herbicides are intelligently selected and judiciously used when needed. Broadleaf Weed Control in Established Lawns. 2005. University of Maryland. Herbicides for Crabgrass and Goosegrass Control in Turf. 2008. University of Maryland. Guide to Controlling Weeds in Cool Season Turf. 2016. University of Maryland Extension. 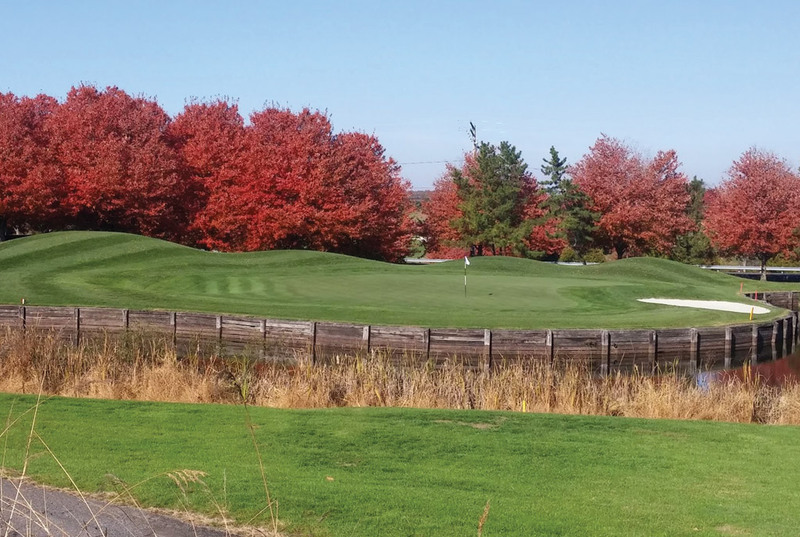 To prevent weed encroachment, adopt or maintain cultural practices that protect turfgrass from environmental stresses such as shade, drought, and extreme temperatures. To reduce weed infestation, address improper turf management practices, such as the misuse of fertilizers and chemicals, improper mowing height or mowing frequency, improper soil aeration, and physical damage and compaction from excessive traffic. Fertilize adequately to sustain desirable color, growth density, and vigor and to better resist diseases, weeds, and insects. 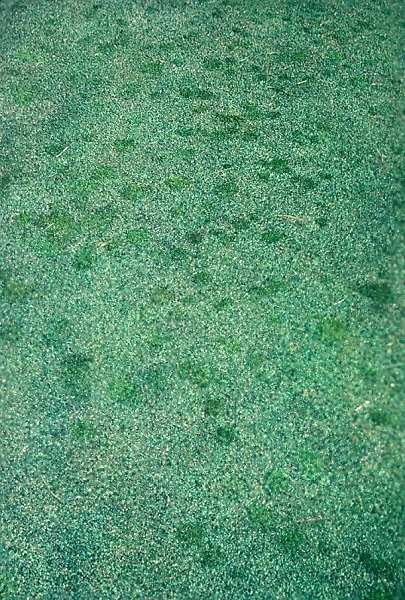 Weed-free materials should be used for topdressing. Address damage from turfgrass pests such as diseases, insects, nematodes, and animals to prevent density/canopy loss to broadleaf weeds. Annual bluegrass encroachment in green. Photo credit: Thomas Turner.